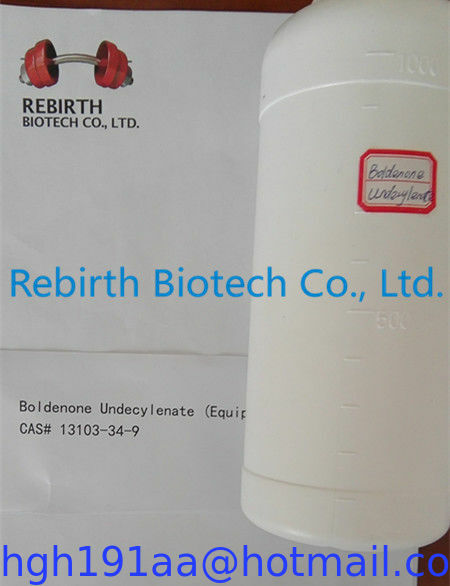 Usage: Boldenone Undecylenate(Equipoise) is a steroid compound that can give users slow but steady gains during a cycle.It is also relatively safe with very few reports of the side effects caused by testosterone conversion into estrogen. 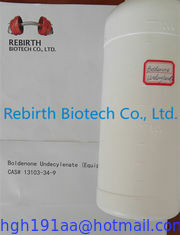 It is a derivative of testosterone, which exhibits strong anabolic and moderately androgenic properties. The undecylenate ester greatly extends the activity of the drug (the undecylenate ester is only one carbon atom longer than decanoate), so that clinically injections would need to be repeated every three or four weeks. The side effects of Equipoise are generally mild. The structure of boldenone does allow it to convert into estrogen, but it does not have an extremely high affinity to do so. If we look at aromatization studies, they suggest that its rate of estrogen conversion should be about half that of testosterone's. Water retention with this drug would therefore be slightly higher than that with Deca-Durabolin (with an estimated 20% conversion), but much less than we would find with a stronger compound as Testosterone. While there is still a chance of encountering an estrogen related side effect as such when using Equipoise, problems are usually not encountered at a moderate dosage level. For bodybuilders, it should be used with some testosterone as Equipoise can cause sexual dysfunction. : Slight yellow oily liquid. : Almost insoluble in water,soluble in vegetable oil. 1.We will ship the goods within 1-2 days after payment.